The Bangladesh Inland Water Transport Authority (BIWTA) on Wednesday suspended the operation of all types of water transport across the country following inclement weather due to formation of cyclonic storm 'Titli over the Bay. 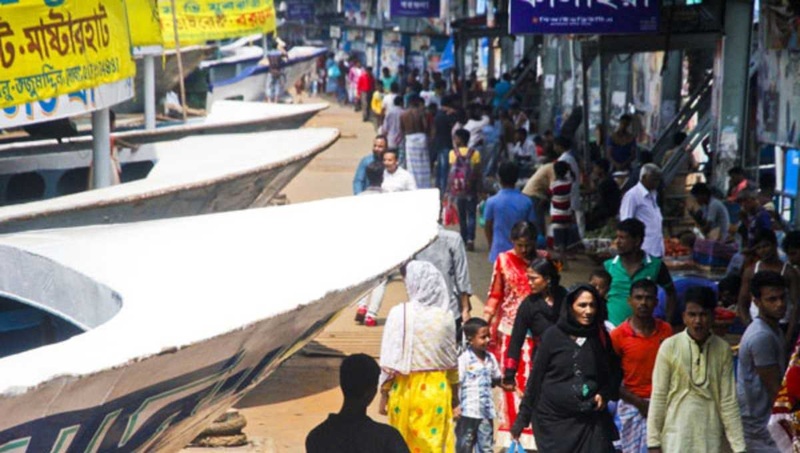 BIWTA public relations officer Mobarak Hossain said plying of launches, ferries and speedboats will remain halted on all waterways throughout the country until further notice. He said the decision was taken as cyclonic storm 'Titli' intensified into a severe cyclonic storm over the West-Central Bay and adjoining area. The maritime ports of Chattogram, Cox's Bazar, Mongla and Payra have been advised to keep hoisted distant cautionary signal No 4 as severe cyclonic storm, 'Titli', over the West-central Bay and adjoining area moved slightly northwestwards over the same area, said a Met office bulletin.